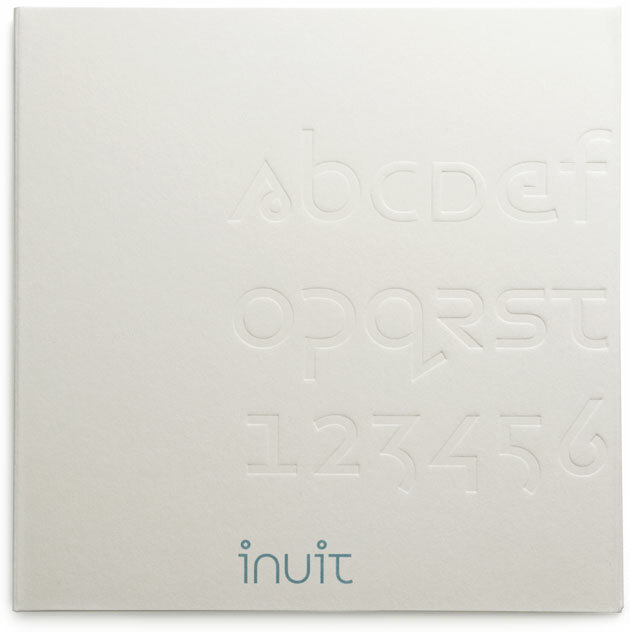 Inuit is a range of premium white uncoated papers developed by Arjowiggins. For the introduction of the paper range, we were approached by UK design company Blast to design a typeface to feature as part of the launch branding. 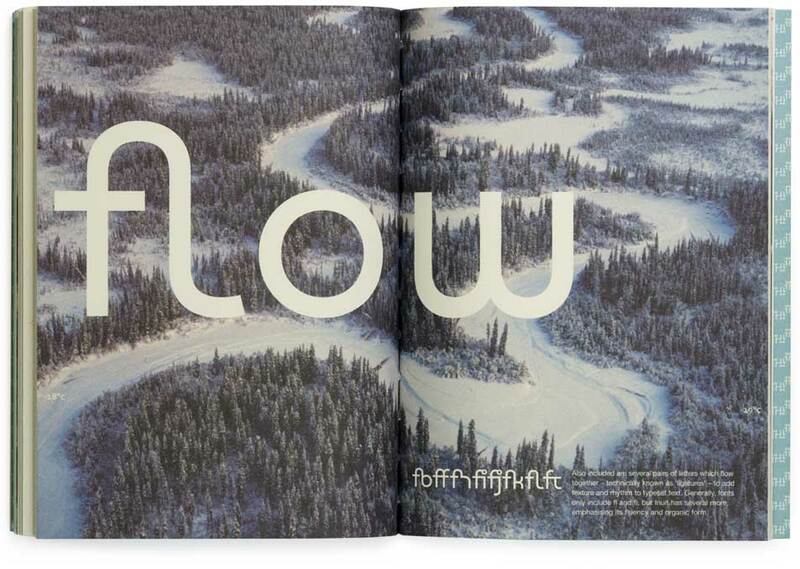 Our brief was to develop an English readable type derived from the shapes used in the printed Inuktitut language. 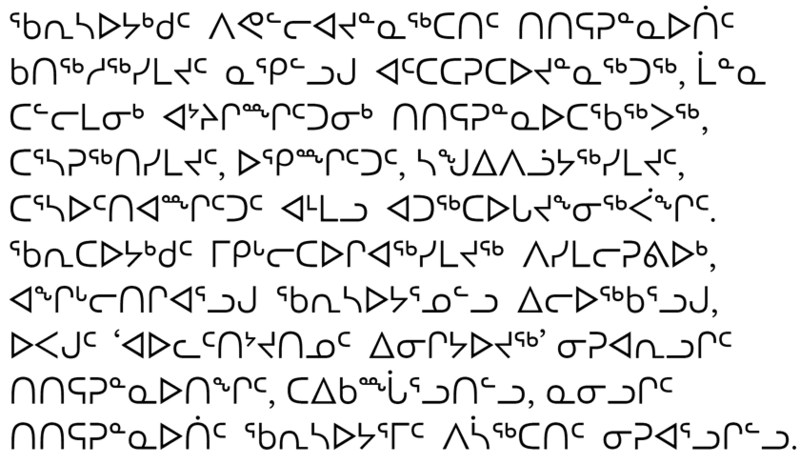 The Inuktitut syllabary is based on the Cree syllabary devised by the missionary James Evans. 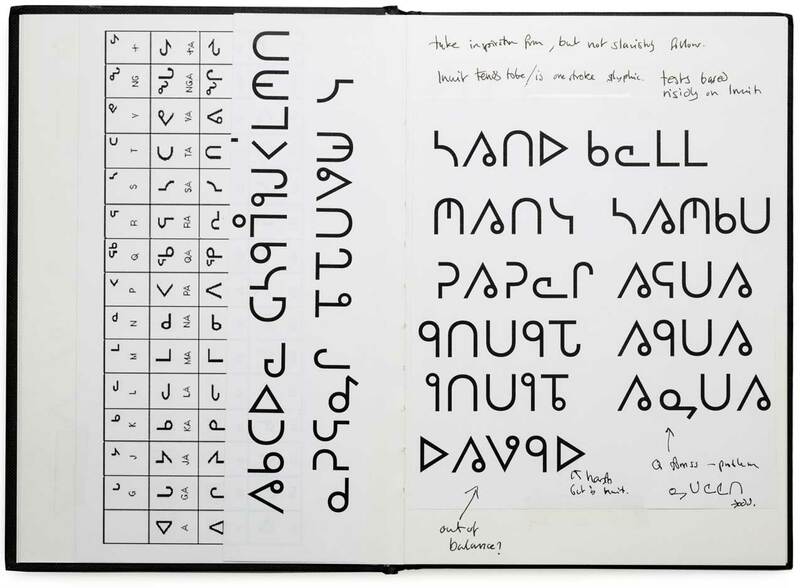 Specific information on syllabics can be read at Tiro Typeworks who have also published fonts for use. 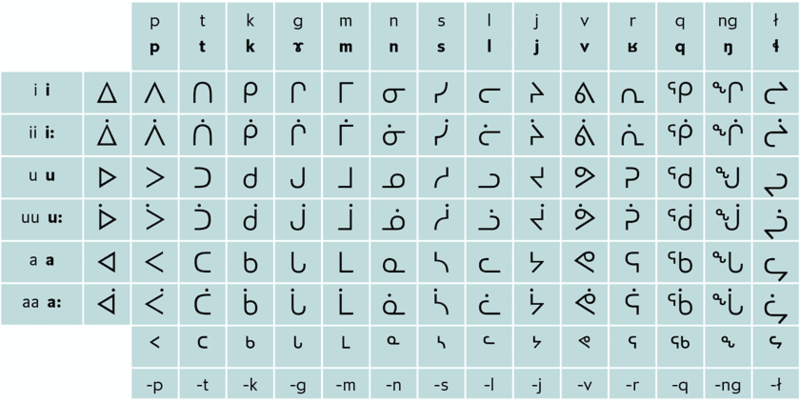 The Inuktitut character set comprises of a set of large symbols that represent different sounds in the Inuit language [fig 2]. The same symbols are rotated or flipped to represent different sounds. 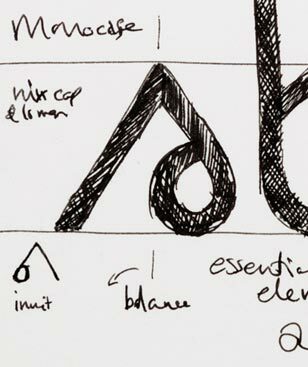 There are also smaller shapes, positioned above the center in a similar fashion to superscript [fig 4]. 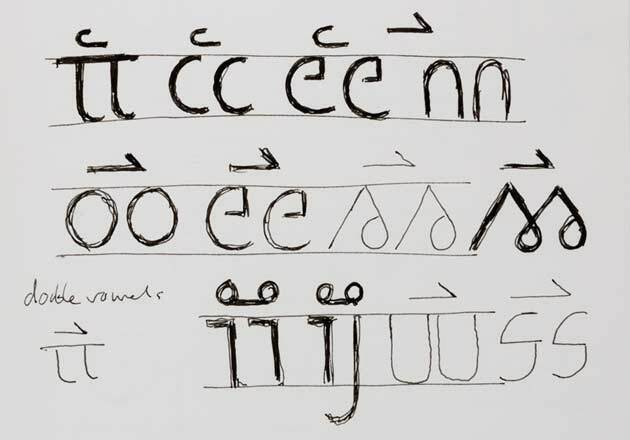 When developing the typeface, early ideas involved directly using those syllabic shapes that were most similar to alphabetical ones [fig 3]. However, the patterning proved too disruptive for our own language. Several of the symbols could be utilised, but needed to be redrawn to conform to our alphabetical structure. Adjusting the shapes to incorporate a stronger impression of ascender and descender instantly made the symbols more alphabetical [figs 5, 6]. 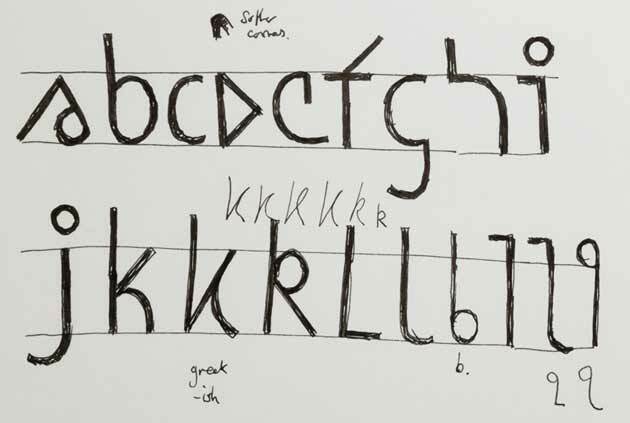 The character set was developed along this basis by using several key shapes and ideas found in the Inuktitut script [fig 7]. Different ideas were tried to enhance the visual pattern in text setting. 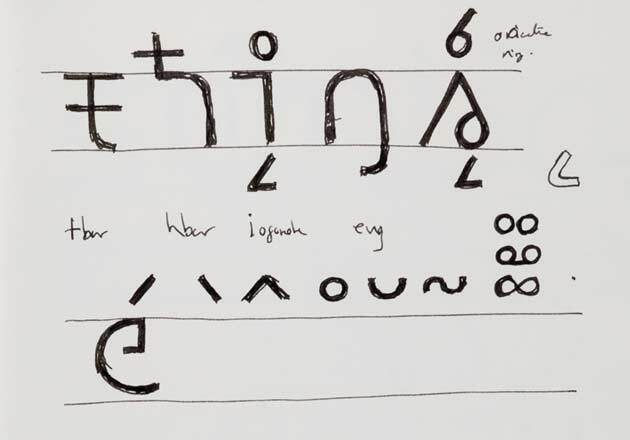 One idea was to use a marker based on the smaller symbols seen in Inuktitut to mark when a character is repeated, such as double ee [fig 9]. 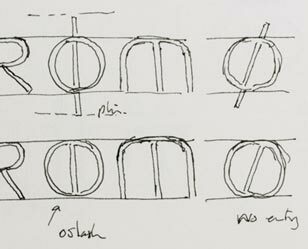 However, this clashed with ascenders, i and j dots as well as accents, so the idea was discarded. 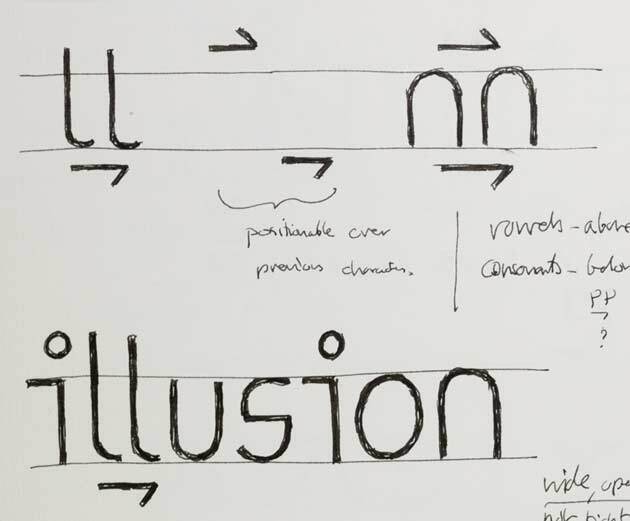 In the end just the i and j dots together with punctuation and accented characters create enough of a visual texture. Punctuation and numbers were designed to match the developing visual language, and the final character set strikes a balance between the syllabic system and our own alphabetical structure.